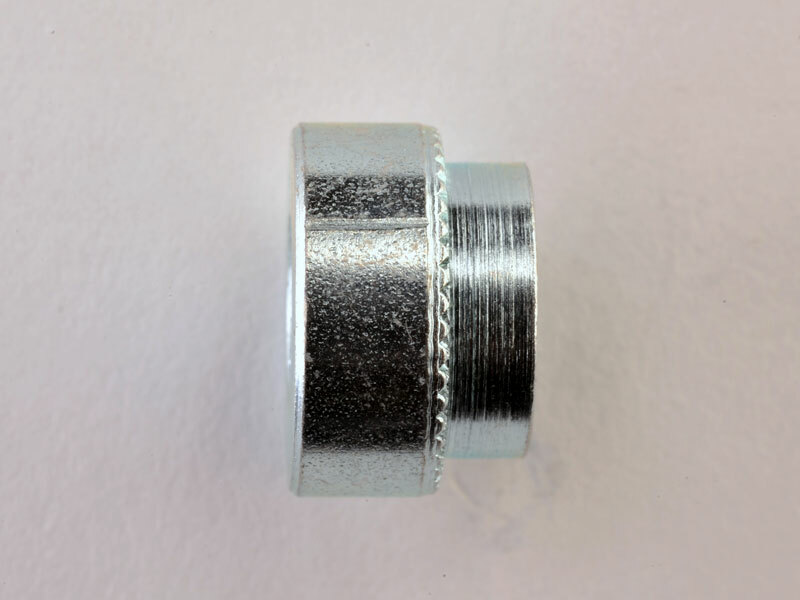 The FSUK serrated face bush is offered as an alternative to the Serrated spigot and has a range of different hole sizes to give designers and sheet metal sub contractors a choice. The spigot is designed to go through the sheet and be rivetted over on the back allowing it to go into all types of material. They are generally available in Steel Self colour or Zinc and Clear Pass and Stainless Steel. The FSUK Serrated face rivet bush can be used in material as thin as 0.5mm up to 5.9mm. It is designed to be installed into drilled or punched holes. 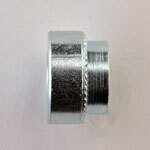 Specify Guage size Fastener is fixing into and then material of Rivet Bush. Available in Self Colour, Steel or Stainless. Also available with Serrations on Spigot. Please note Dimension A tolerance is +0/-0.2mm. Hole size tolerance is -0/+0.1mm and we recommend you punch or drill the hole towards the top limit.